Canarywood Bottle Stopper, Stainless Steel - TT146 [TT146] : No Skew Turns, Gifts handcrafted from the world's beautiful woods. 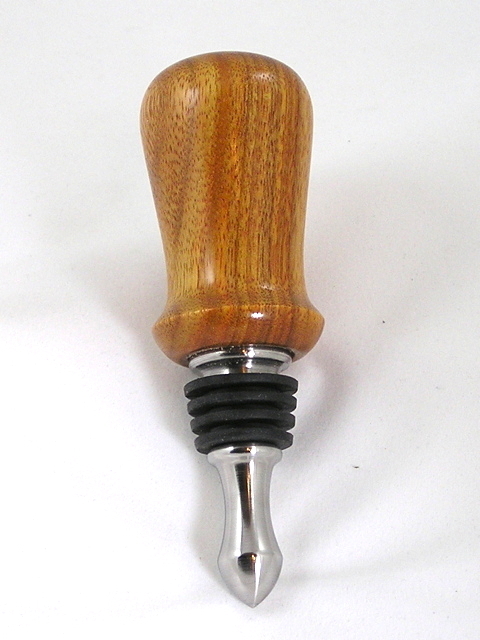 The simple curves of this Canarywood bottle stopper emphasize the beautiful colors of the wood. This is a moderately heavy South American timber that turns very easily and polishes up nicely.